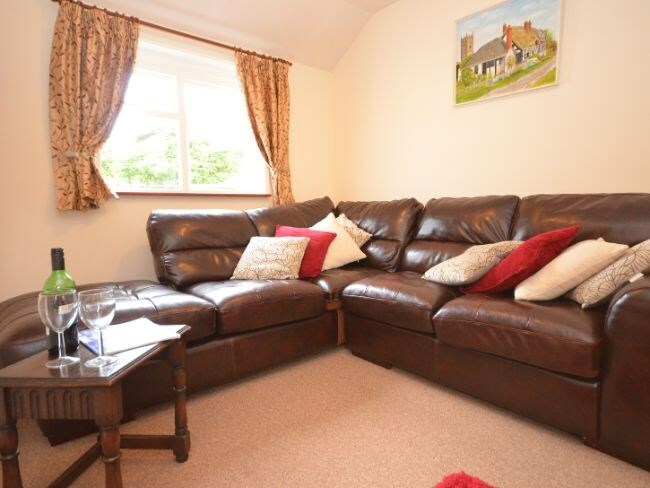 The self catering cottage is a beautifully renovated wing of the farmhouse. 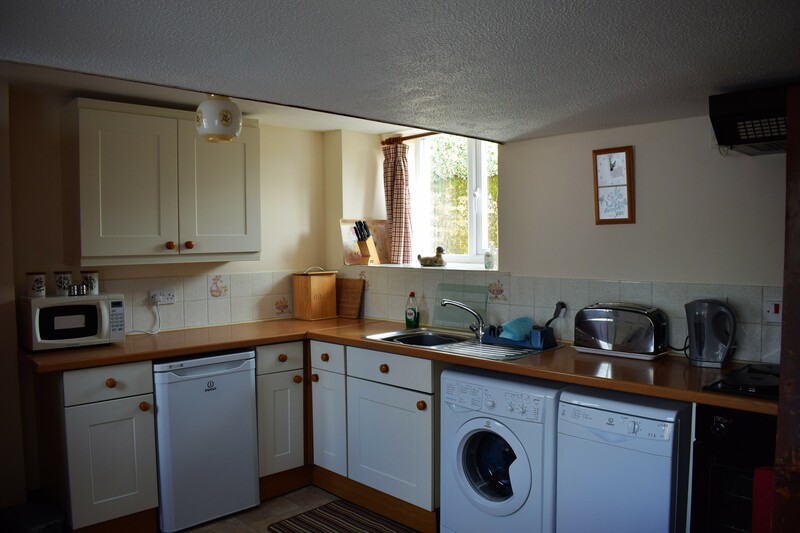 It has a spacious kitchen which includes a washing machine, dishwasher, microwave, electric oven, fridge with icebox and many useful extras. You step down through a lowered doorway to a large lounge with dining area, colour TV and DVD. The accommodation offers TWO bedrooms: both with views over the garden and surrounding countryside, 1 double bedroom with handbasin and 1 bedroom with twin beds and full size adult bunk beds (the bed set up can be changed to suit your needs to 1 twin with handbasin and 1 double with full size adult bunk beds upon request. There is one bathroom with the shower over the bath, sink and WC. Outside is an enclosed large garden to the rear of the property where you can enjoy BBQ's and the long summer evenings. Tesco, Sainsbury's and Waitrose will deliver. - Location: beach 3 miles, shop and pub 1 mile. - Change Over Days: Saturday – arrival: 3pm, departure: 10am. - Linen & towels provided – bring your own beach towels. 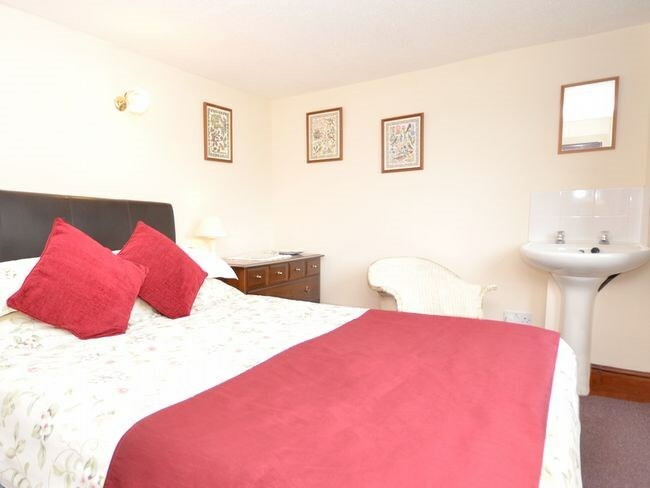 - Central heating, electricity, Bed Linen and WIFI are included in the cost. - All beds made up on arrival. - 1 wooden cot, 1 high chair, 1 stairgate available on request. Cot linen is not provided. - Well behaved dogs are allowed via prior arrangement. A charge of £ 20 per dog for up to 7 nights, £40 for up to 14 nights and £20 for each week or part week thereafter. 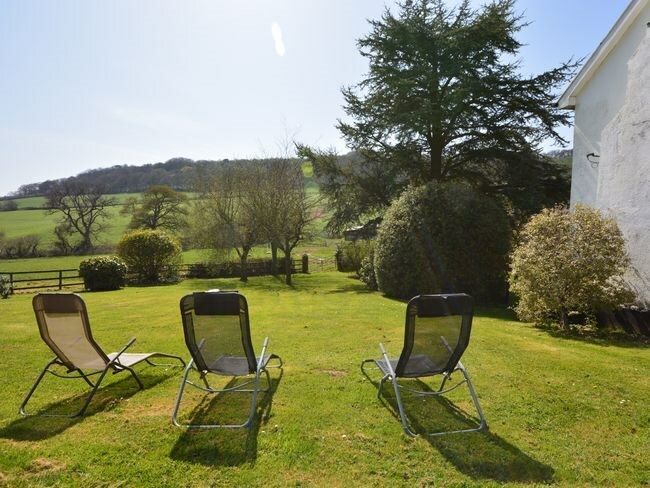 - Play facilities: In front of the Farmhouse is a large shared garden with trampoline and toys available, or enjoy your own space in your own enclosed garden. - Farm activities: Visitors are welcome to see milking, feeding and many farm activities with cows calving all year round. Please telephone or email to make a booking and we recommend you book early to avoid disappointment. Dates to follow shortly, please enquire for availibility and price.